Did you know that Mayra has a degree in Advertising? Well, she does. Not only is she beautiful on camera and a great spokesperson, but she has an appreciation for what is marketable. 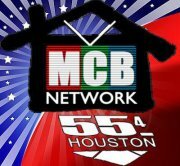 She recently represented this company on the Mi Casa TV Network 55.4 which is based in Houston, Texas. Although, she lives in Hollywood now, she visits her hometown (Bellaire near Houston) from time to time to see her family and friends. Check out Prestige Collision.